to the web page of Saph Pani. Saph Pani’s full name is Enhancement of natural water systems and treatment methods for safe and sustainable water supply in India. It is an EU funded collaborative research project which started in October 2011 with duration of three years involving a consortium of 20 partners from India, Europe, Sri Lanka and Australia. 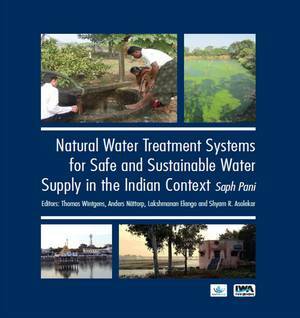 Saph Pani addresses the improvement of natural water treatment systems such as river bank filtration (RBF), managed aquifer recharge (MAR) and wetlands in India building on a combination of local and international expertise. The project aims at enhancing water resources and water supply particularly in water stressed urban and peri-urban areas in different parts of the sub-continent. The project focuses on a set of case study areas in India covering various regional, climatic, and hydrogeological conditions as well as different treatment technologies. We invite you to explore the different aspects of the project, the world of natural water treatment and the study sites.